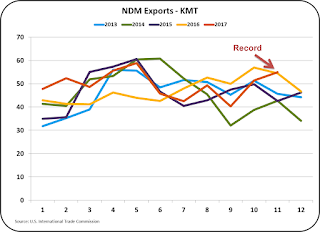 November export data was recently released. The data set records for every commodity that is used to price producer milk. 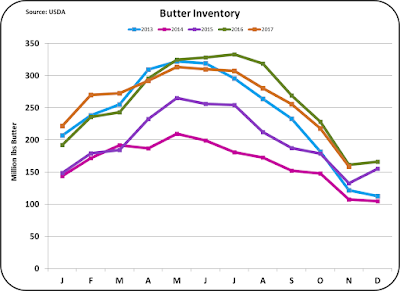 As explained in the prior post, inventories of these commodities are high, very high. 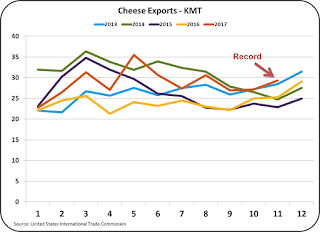 That post finished with a statement that exports need to increase and production needs to decrease. 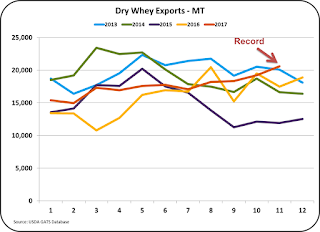 Exports for November show strength that will help get rid of excess milk. 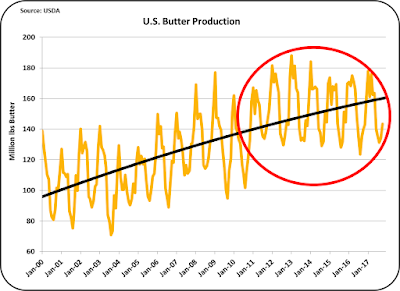 Now, a decrease in production is needed. 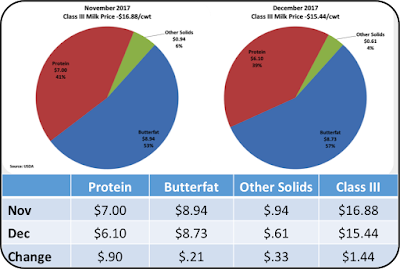 Below are charts of exports for the four dairy commodities that are used to set producer prices. 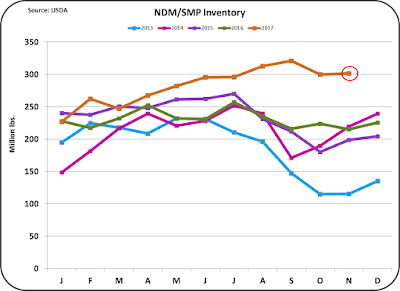 Note that all four are records or near records for the month of November. Butter did not reach the extreme high set in 2015, but it is a record for the last four years. 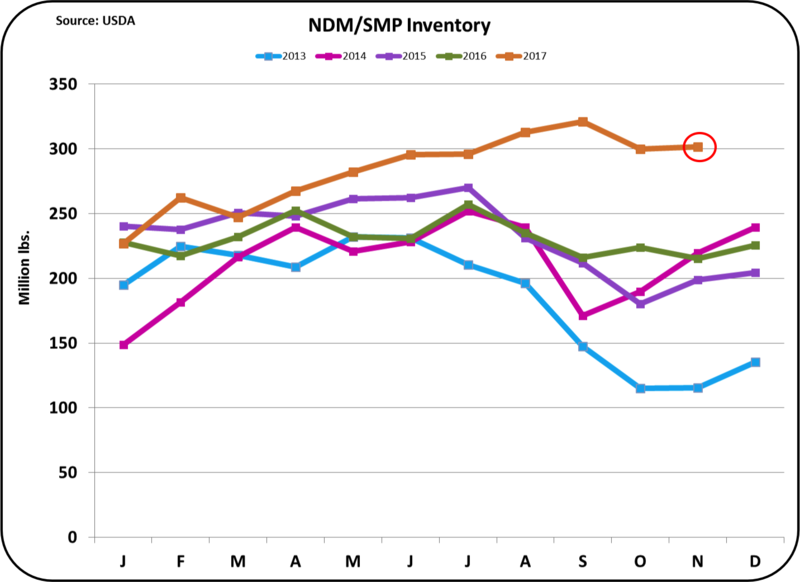 Nonfat Dry Milk (NDM) was really a tie with the prior year, but extremely close to a record. 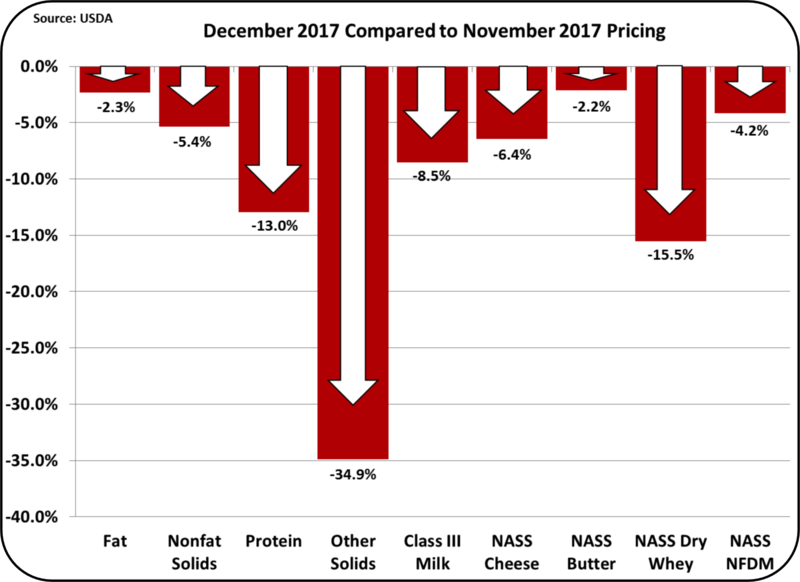 In November, exports accounted for 16.1% of milk production. 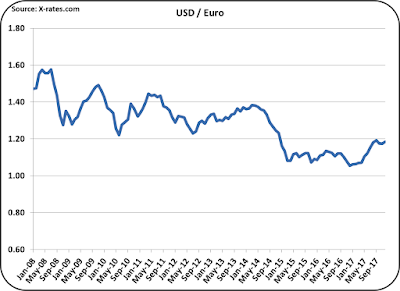 This is a level not seen for 4 years, and it was done in a very competitive international market. 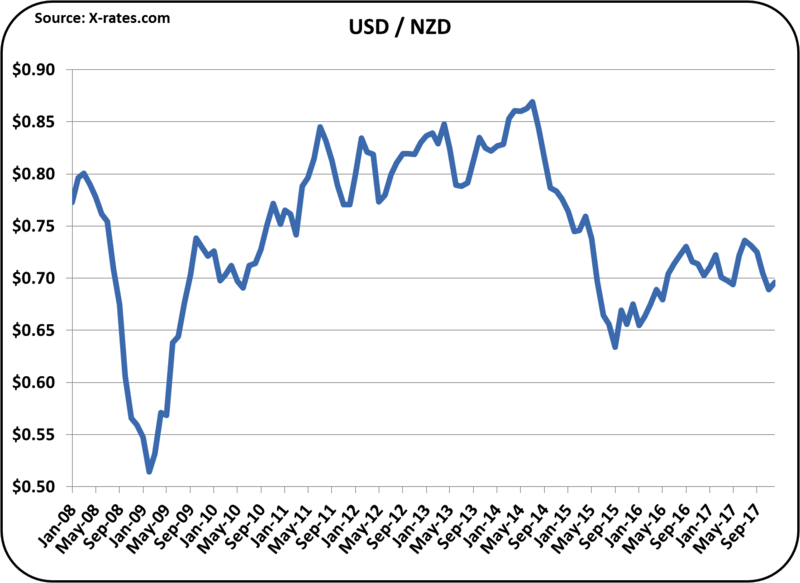 It was also done at a time when exchange rates were better than recent years, but not as good as the prior months. 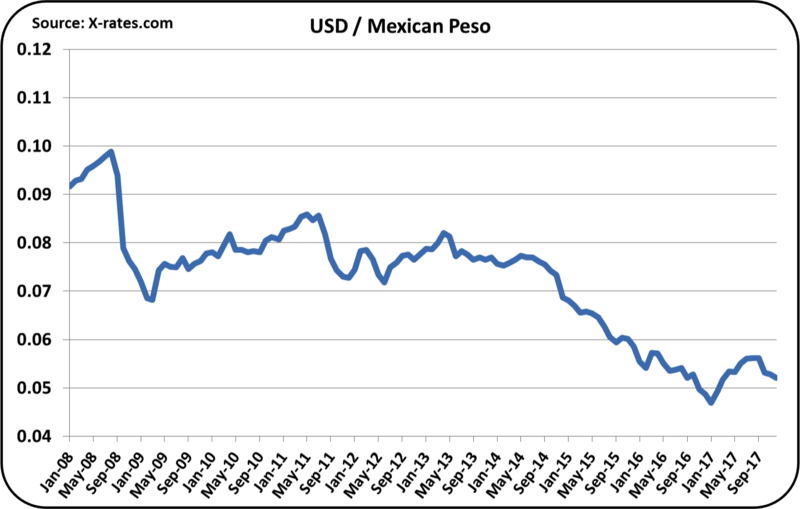 Below are charts of the exchange rates between the USD and the currencies of the major international diary exporters, the EU and New Zealand, and the most important U.S. customers, Mexico and Canada. 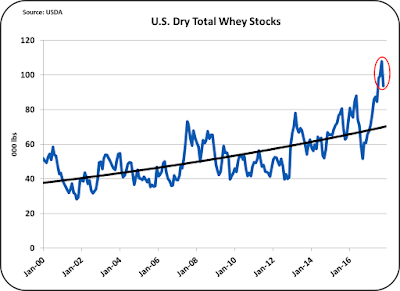 In all cases, the charts are similar. 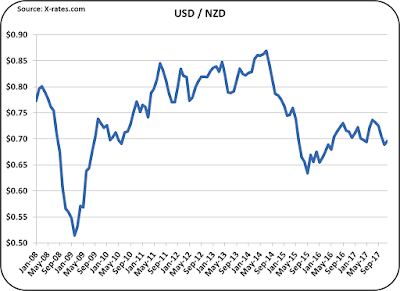 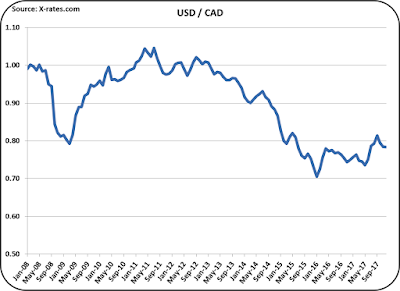 After almost a year of a weakening USD, the exchange rates have recently been static or down. 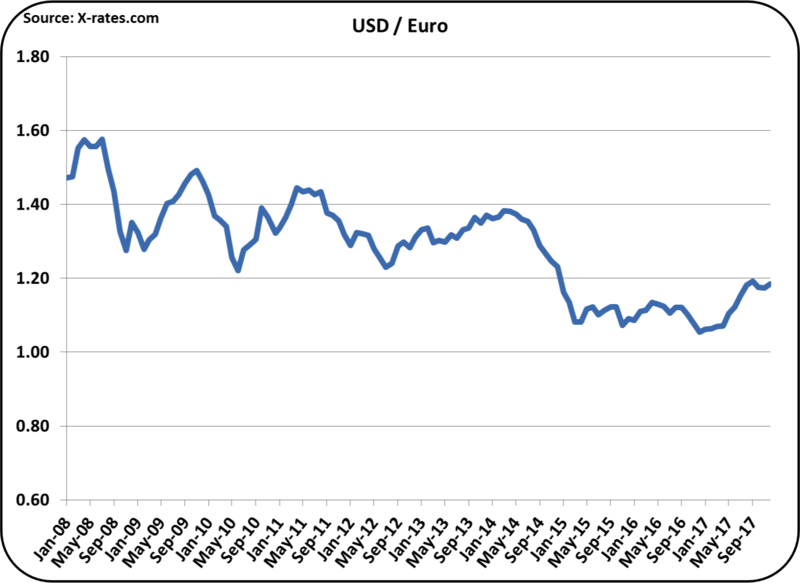 A weak USD makes U.S. exports more competitive in the international markets. 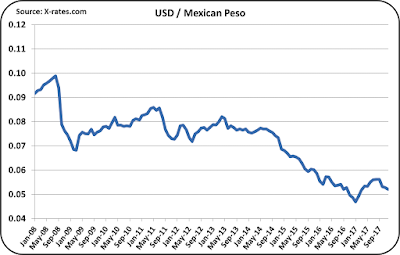 International prices for these commodities are low and the U.S. has been selling at very competitive prices. 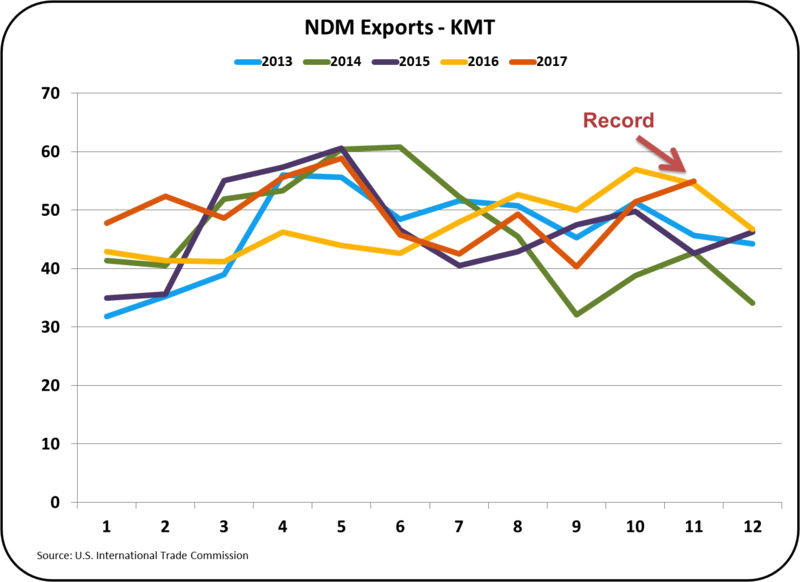 NDM prices are extremely low for all exporting countries and the U.S. has been consistently competitive. 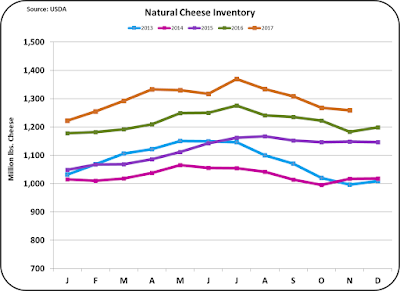 International cheese prices in November were OK and again the U.S. priced cheese was very competitively priced. 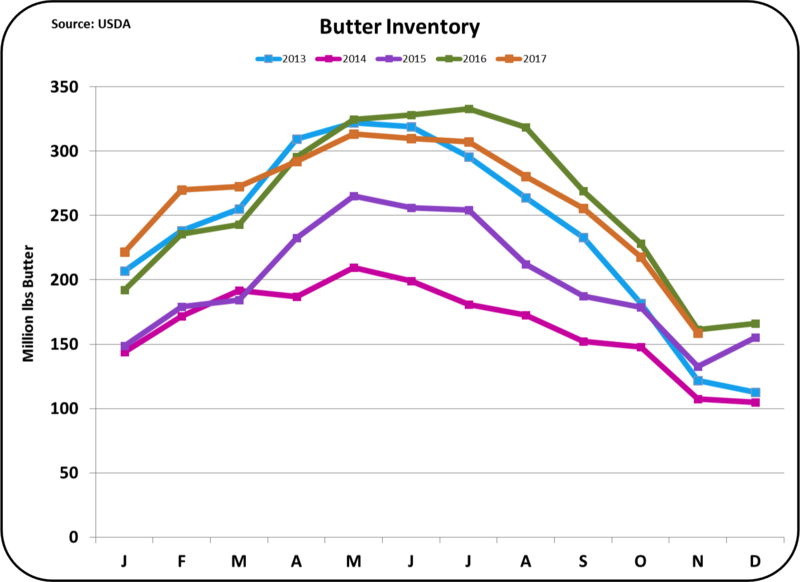 International butter prices have fallen like a rock. 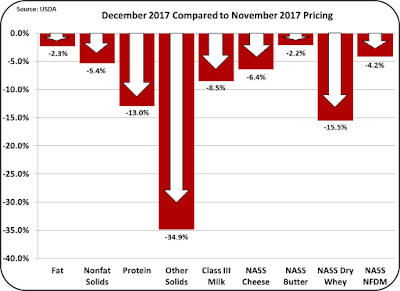 Butter from the EU has fallen 30% in price in November from its 2017 high and it is still falling. 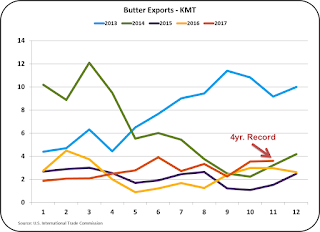 The U.S. has not been as competitive in butter export prices as very little butter is available for export. 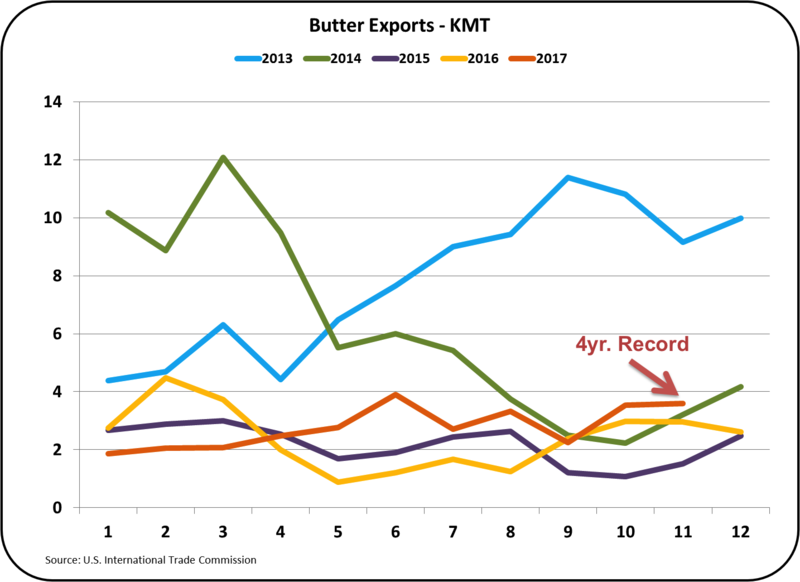 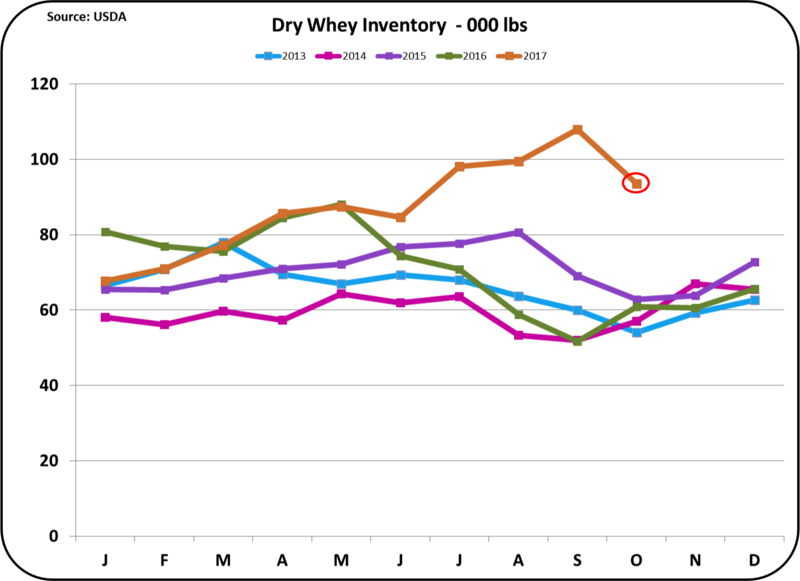 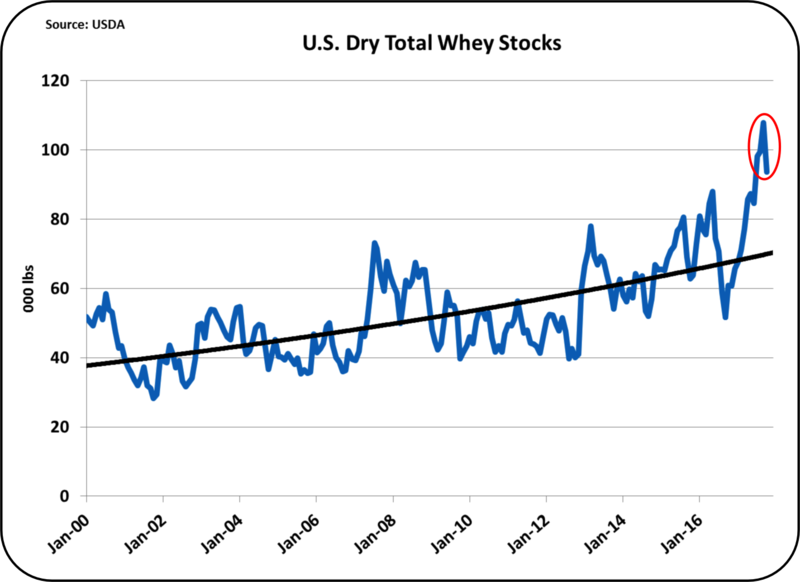 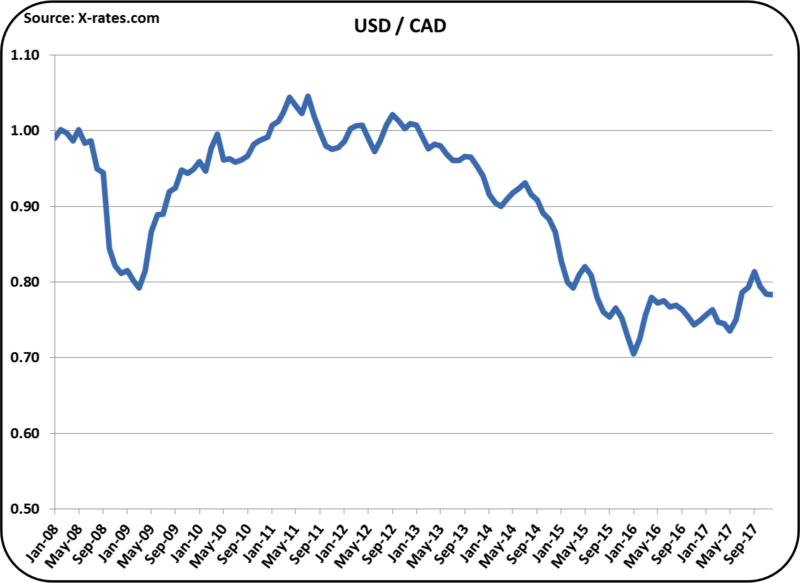 What butter is exported goes mostly to Canada, Prices of Dry Whey have also fallen, but the U.S. has not been extremely competitive in pricing. 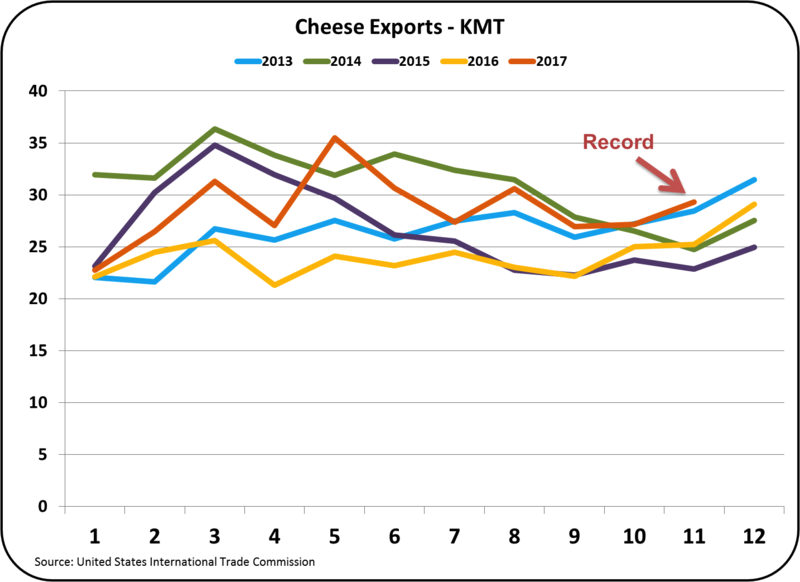 Overall, U.S. exports of dairy products are doing very well and gaining momentum. 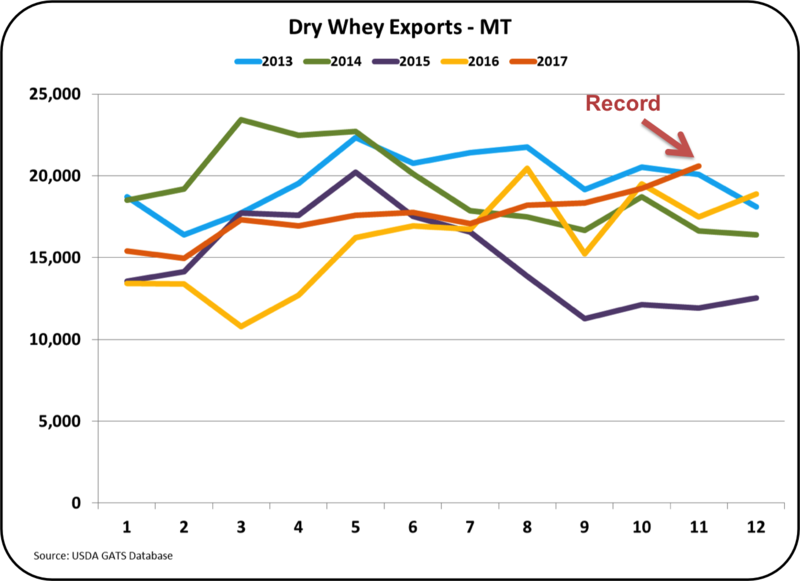 It is very possible that 2018 will be a record year for dairy exports which will help balance supply and demand. 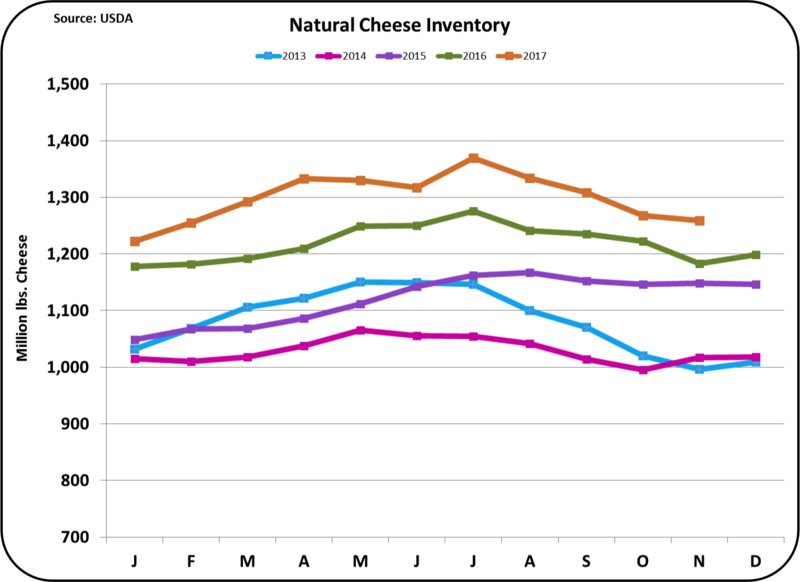 In turn, inventories could drop, commodity dairy product prices could improve, and that would improve producer prices. 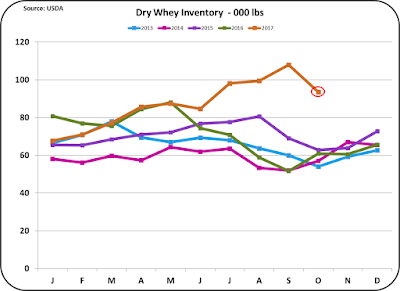 Stay informed with upcoming posts to this blog.